A smart city is one in which government agency leaders and managers focus on two key priorities. John Kromer’s background makes him particularly well qualified to help cities address these priorities and realize their potential for growth in the new economy, with particular emphasis on three fundamental issues. Investors and developers are attracted to cities that are effectively managing major twenty-first century challenges. Strategic Planning. Designing and managing investment plans that guide commitments of resources to targeted downtown and neighborhood locations. Organizational Development. Realigning city government agencies to respond more readily and reliably to new opportunities, with leadership provided by a key “go to” agency or person responsible for marketing the city and creating a business-friendly environment. Policy Development and Program Management. 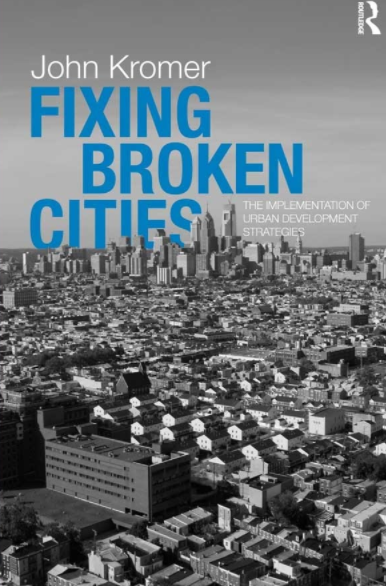 Upgrading public-sector practices in planning, code enforcement, housing finance, and property management to replicate innovations that have proven successful in comparable urban areas and to expand existing programs that work. During the coming years, cities that address these challenges will become the most promising locations for investment and development. Cities that are unable to do so face the prospect of continued economic stagnation and decline. Administrative powers and legal remedies can be skillfully used to return blighted and neglected properties to the real estate market. Influenced by the growing strength of the rental property market, more investors are now exploring opportunities to develop or manage large numbers of rental housing units in many metropolitan areas simultaneously. Those cities in which development opportunities are marketed effectively and development-financing transactions are managed reliably will be well positioned to benefit from this trend. At the same time, government agencies and community constituencies in every city need to mutually support a balanced code enforcement strategy that rewards responsible developers and property managers while defending the city against predatory speculators and negligent absentee owners.